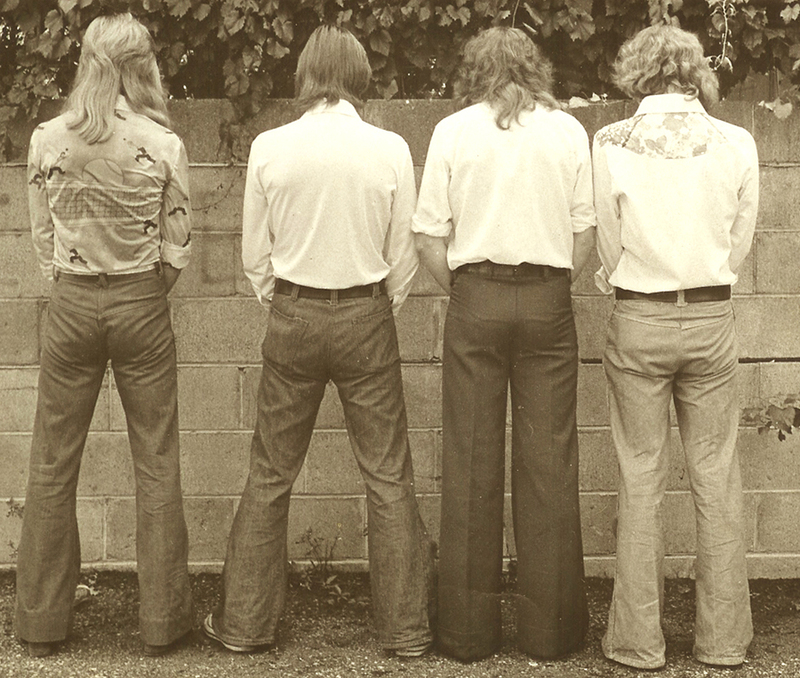 I'm sorry that I can't offer any of the Harvest (1975, Tommy Shaw, Jimbo Jones, Tommy Beavers, me) music - they really are great tapes. I haven't been in contact with Tommy Shaw for several years so it wouldn't be right to use his performances and songs without his permission. CORRECTION: There are bad copies of some of this music available on the internet and floating around Montgomery, so, here is some of what I have. 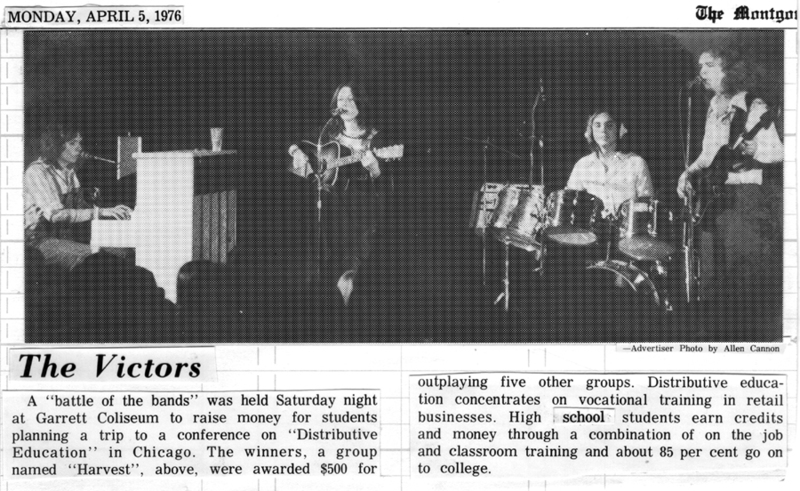 HISTORY / COMMENTARY: In summer of 1975 Jason Wohlford was born and I heard Tommy Beavers play drums for the first time. I thought if I could get Jimbo Jones and Tommy Shaw to come play with Beavers and me that it would be an extra special band. 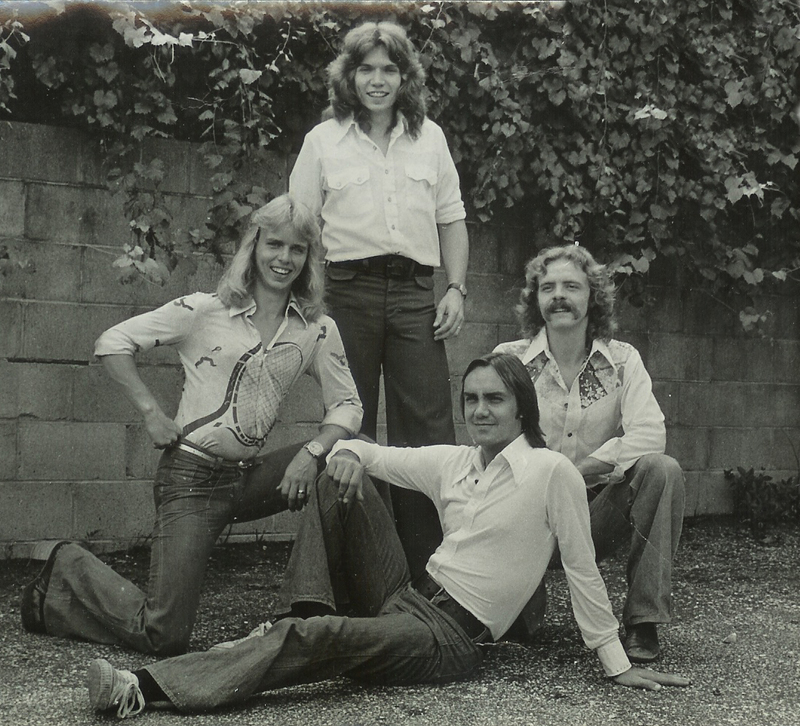 Tommy lived in Chicago and played with a band called Smoke Ring (formerly M.S. funk) but when I told him Jimbo would join if he would join, he did and he moved from Chicago back to Montgomery for good reason - it was a great band. When Steve Lander heard of this possibility he wanted us for the Kove and then there was Harvest. It was an extra special band and there was some Montgomery music history made. People came from all over to hear this band and Shaw, Jones, and I had some extraordinary vocals. 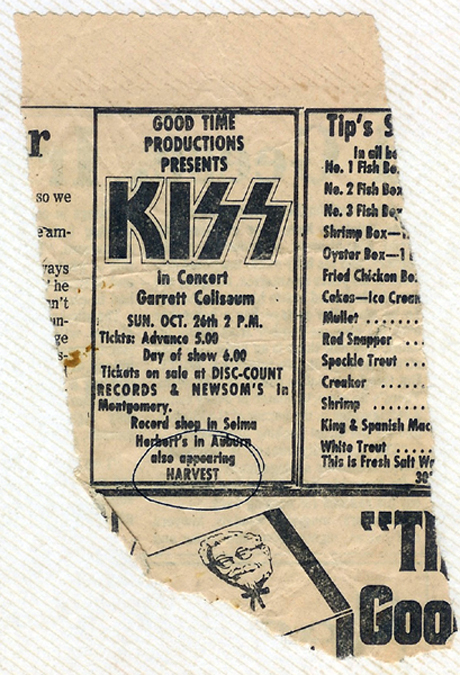 We even opened a concert with 'KISS' at Garrett Coliseum. Okay, so Shaw was back in Montgomery playing with us, however, while playing at a club called 'The Rush' in Chicago, Tommy was seen by the manager of a band named 'Styx'. Harvest had been together about six months when Tommy got a call. Styx was about to go on tour when one of their guitar players quit suddenly and the manager remembered Tommy from Smoke Ring. As I understand it they finally hunted him down after hearing that he was playing at a bowling alley in Montgomery, Alabama. There was only one at the time and they found him and stole him from us. Why would somebody leave the corner of a bowling alley playing with ME just to make a few million dollars? HA! Tommy's history with Styx, Solo projects (more on this later), Damn Yankees (with Ted Nugent and Jack Blades), the Shaw Blades Band (with Jack Blades of Night Ranger), back with Damn Yankees, back with a modified Styx - is well known. 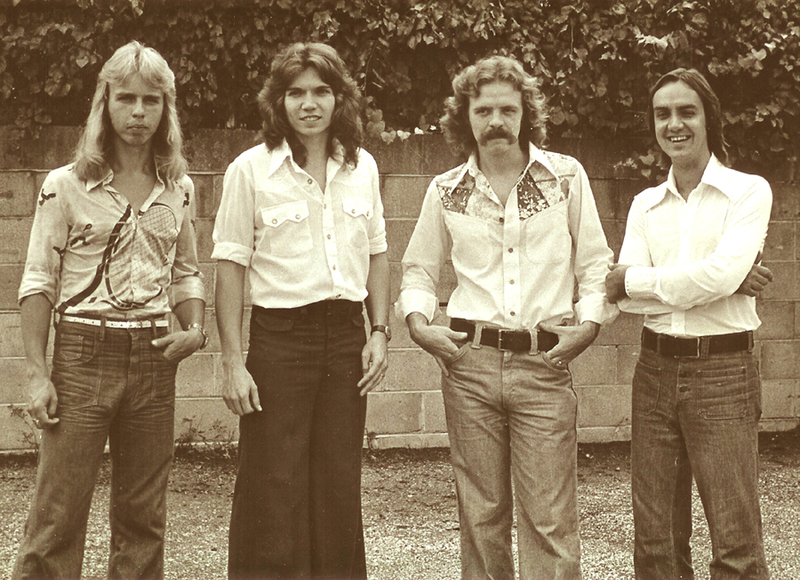 PERSONAL: About Tommy Shaw: We have a lot of history together. He is probably the one person . . . In December of '75 Harvest was hurt by Tommy Shaw's departure, however, we had been regularly loving Beth Nielsen's voice for months when she would come to the Kove and sit in singing songs she wrote. Beth would literally quiet the place down when she sang and I would even stay inside during breaks to hear her. We asked her to join and it was during that time that we won a battle of the bands at the Coliseum . Tommy and Beth didn't play in the band at the same time. We changed the name of the band to 'HARMONY' because, with Beth's voice and without Tommy's electric lead guitar, the harmony vocals were now our strongest point. Soon, we also asked Bill Hinds, the left-handed guitar-monster to join. It took two fine musicians to take Tommy's place but Bill is a great guitar player so we weren't hurting there and he helped with the singing, too. Beth is a show of the finest quality all by herself, so, more Montgomery music history was made. We packed the place for two and a half more years and made some outstanding music.